Few days back, we had reported that actor Suriya along with his wife Jyothika asa well as his son and daughter would be celebrating New Year 2019 at the Maldives. The Thaanaa Serndha Koottam star, who is at present attached to as many as four big upcoming films has now issued a statement on his Twitter page. Taking to the micro-blogging social networking platform, Suriya expressed his gratitude to all the people who had helped him with his stay and holiday experience at the Maldives. Meanwhile, Suriya fans’ start to the New Year was off with a bang after posters for his upcoming film, Kaappaan, under KV Anand’s direction was unveiled. 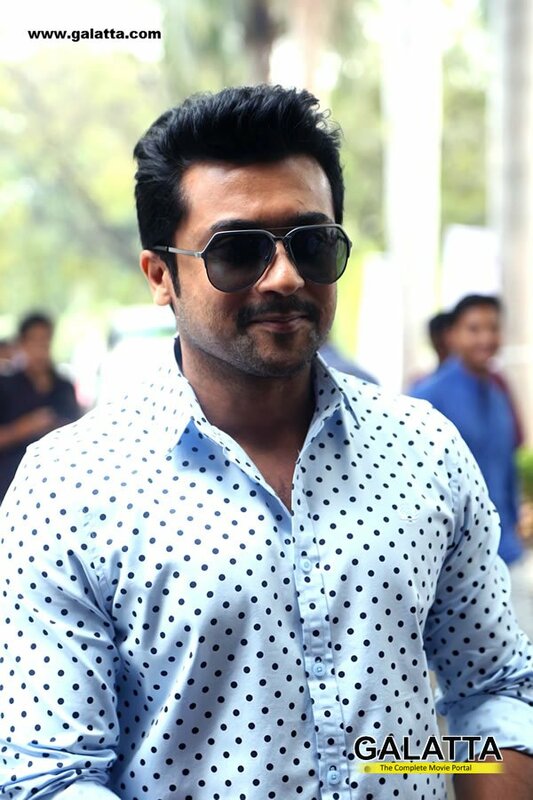 He is also set to commence work for Selvaraghavan’s NGK, which is in its final stages. It must be noted the actor also has a film, Suriya 38, under Irudhi Suttru fame Sudha Kongara’s direction and Suriya 39 most likely with Hari.